On this special occasion we want to express our gratitude. From 23rd November to 30th November we'll offer you awesome discounts for our Black Friday Sale. 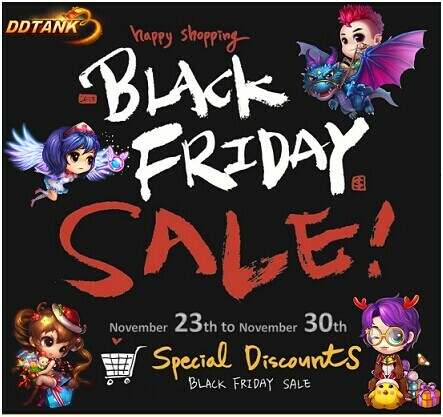 Take this chance to buy your favorite items! There will also be a Thanksgiving Recharge Event, where you can get tonnes of Coins! Two events, huge benefits. Great news, don't you think? Stay tuned for more DDTank deals!